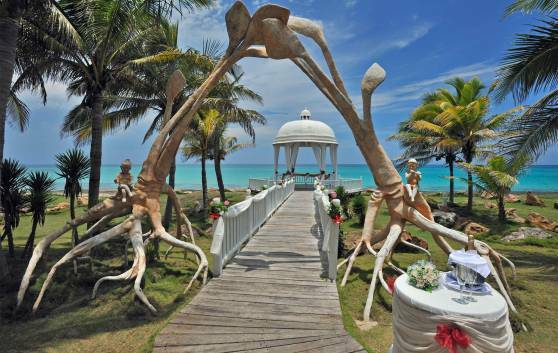 The 5-star Paradisus Varadero Resort, Meliá Cuba Hotels International highest brand category, offers special Free Honeymoon, Wedding a la Carte, Renewal of Vows and Free Wedding programs for the enjoyment on the bridal couple. Ultra All-Inclusive Paradisus Varadero programs guarantee the elegance and exclusivity of Paradisus-category hotels. For a minimum requirement according to the market, these programs will transform your wedding ceremony or honeymoon trip into a unique and unforgettable romance. Guests at the hotel will also be able to enjoy special honeymoon package with great perks for couples.